To became the king of Indian market, Micromax Indian has launched it’s 2nd ” Yu” brand smartphone based on Cyanogen OS, the all new Micromax Yu Yuphoria on 12th May 2015. 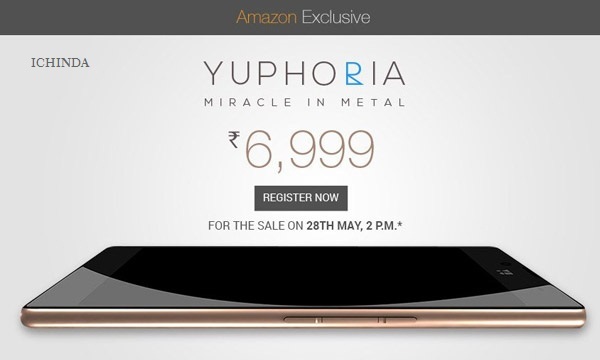 Micromax Yu Yuphoria launched in India Rs 6,999. 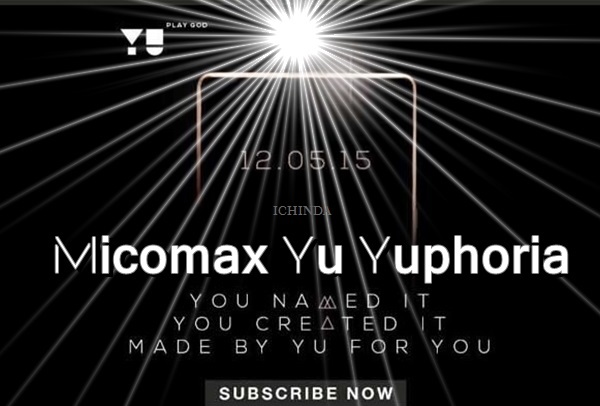 Micomax Yu Yuphoria slated to go on sale from May 28 exclusively through Amazon, the pre- registrations starting from 5pm IST on Tuesday 12th May. It will take on Lenovo A7000(Rs 8,999). The all new Micromax Yu Yuphoria supports Dual-SIM((4G+3G)), Micro SIM, Bluetooth 4.0, Micro-USB, Wi-Fi , GPS, and a 3.5mm runs on latest Cyanogen OS, Cyanogen OS 12 based Android 5.50 Lollipop will run on powerful 64 Bit, quad-core Qualcomm Snapdragon 410 with 2GB RAM offers you blazing multitasking experience while 16GB internal memory and 32GB Expandable memory offers plenty of space to store your favourite songs, movies, games and apps. Micromax Yu Yuphoria comes with a 5-inch HD TFT IPS display with resolution (720×1280 pixels) and Gorilla Glass 3 protection perfect for watching movies, playing games and reading e-books. Micromax Yu Yuphoria sporting a 8-MP rear Auto focus camera with LED Flash, Sony IMX135 CMOS Sensor for shooting offers you superior photography in low light condition while 5-MP front facing camera allows you catch mind blowing video calling and selfies. Micromax Yu Yuphoria is powered by a powerful 2230mAh Li-Po battery measures 72.95 x 142.38 x 8.19 mm and weight just 170gm. Micromax Yu Yuphoria Rival Xiaomi Redmi Note 4G(Rs 9,999), Asus ZenFone 2 and Lenovo p70(Rs 15,999). At last few honest word to say that Micromax Yu Yuphoria is coming to rock and rule the Indian market. What you think? Please be open to give your view.